Throughout its history the VFA has presented a number of individual awards to recognise the achievements of its players. The earliest awards such as the Woodham Cup, Todd Medal, and Liston Trophy were named in honour of long-serving administrators. In recent times awards have been named after legendary players such as Frank Johnson, Jim "Frosty" Miller, and Barry Round. Below are details of the current and former awards presented to VFA-VFL players, along with lists of all winners at senior level. The most well-known of these awards, first presented in 1945 and continues to be awarded today. In 1961 the senior competition was split into two divisions and this new award was presented to the best player in Second Division. It has not been presented since 1988 when the final season of divisional football was played. Prior to 1999 there was no official award, players merely earned the honour of being referred to as the Association's leading goalkicker for that season. The title went to the player who kicked the most goals for the season, including finals. Named in honour of former Dandenong full-forward, Jim "Frosty"' Miller, who kicked 885 goals in 183 games and was the VFA's leading goalkicker on six occasions. The medal is awarded to the player who kicks the most goals during the home-and-away rounds (goals kicked in finals are not included). Named in honour of Frank Johnson, former VFA representative team captain, two-time All-Australian selection in 1953 and 1956 (captain), youngest winner of the J.J. Liston Trophy, winner of Port Melbourne's best and fairest award a record five times, and winner of South Melbourne's best and fairest award in his first season in the VFL-AFL. Named in honour of Des Fothergill, Barry Round, and Sam Mitchell; the only players to win the best & fairest awards of both the VFA-VFL and the VFL-AFL. The criteria for the award has changed over the years: originally it was presented to the best young talent in the Association, then during the early-2000s it was presented to the young player most likely to be drafted to the AFL. It is currently awarded to the best VFA-VFL player under 23 years of age. Named in honour of Archie Todd, long-serving Port Melbourne committee member and chairman of the VFA Reserves Tribunal for over 20 years. Details about Doug Disher unknown at this time (please contact me if you have information about Disher's role with the VFA). Named in honour of Fred Hill, who served as the VFA Secretary 1954-74. 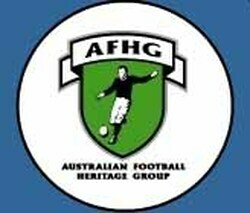 Named in honour of Alex Gillon, who served as VFA President from 1954 until 1980. Named in honour of Frank Gomez, a former Port Melbourne Thirds coach and senior committee member.